Review: "IBM SPSS Modeler - Complete analytics tool"
IBM SPSS Modeler is extensively used by our data analytics team. It is used for customer analytics to formulate and understand retention and engagement metrics, and used to analyze our CRM. It gives us a good amount of insights that help us to with easy and quick decision making. The business people use it for business problems and they don't have to have technical understanding. The model formulation from large amount of structured and unstructured data is commendable. It has a beautiful and intuitive new UI. The manual is very easy to understand. Hence, reduces the on boarding. The natural language processing (NLP) needs improvement. Already present integrations to other IBM products is poor. 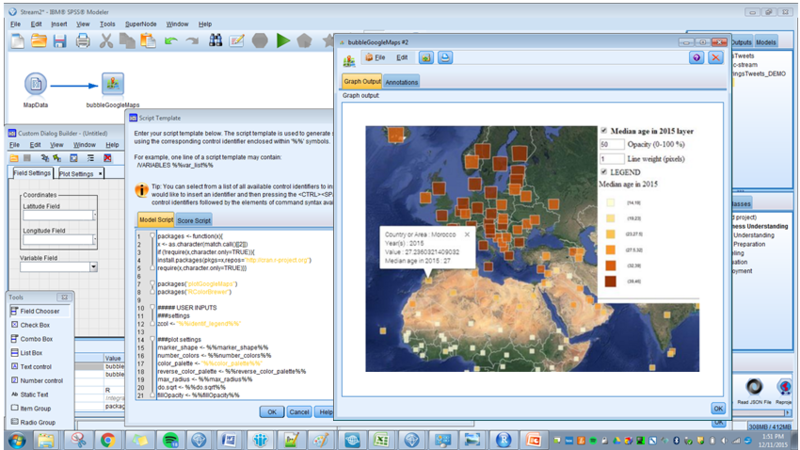 There are many things like Text analytics which are only available in gold edition. It is hard for a non-tech person to implement advanced modelling which requires Python, R.
If your analytics is research oriented, coming with cases and hypothesis, and you have the sound technical knowledge of Programming which is used in data mining (Python, R), then this tool will give you a huge advantage irrespective of whether you have structured or unstructured data. However, if your organization doesn't have the data to work upon, this product won't be able to help you further. User Review: "IBM SPSS Modeler, a vendor perspective"
Our company has 20+ years of developing solutions based on SPSS tools, one of them is IBM SPSS Modeler. In our experience, we have seen companies using Modeler across the whole organization to support critical business process. The versatility of the tool and easy deployment make it a first choice in organizations from Government to Retail, Finance, and Academics. Being able to reduce churn, to retain customers, forecast sales and inventory stock all within a friendly and powerful user interface is something that customers are really looking forward when it comes to accelerating ROI. GUI is really well accomplished and friendly, almost everyone with little investment in training can take advantage of the tool. Escalability, you can grow your investment in licensing according to your actual needs, from an annual authorized user, to perpetual concurrent and Big Data and Machine Learning capabilities. Open Sorce Ready: take leverage of all your developments made in R or Python and deployment all over the organization even with the user who isn´t used to code. Some Analyses aren't there out of the box but can be added through open languages like R and Python. Modeler is well suited for Retail, Credit Scoring, Telcos, Government. And less suited when it comes to transactional environments. 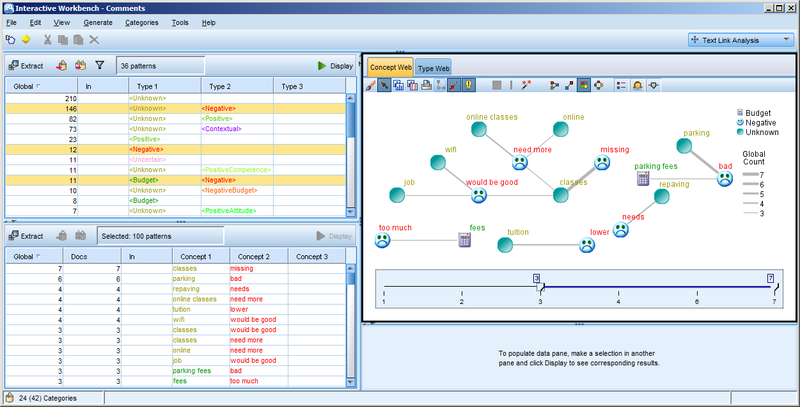 IBM SPSS Modeler Review: "Good for all"
It is presently being used to develop a predictive model and to also carry out some statistical analyses. It makes it easier for employees who are statistically or mathematically oriented to learn and use the software for various modeling exercises and assignments. It makes visualization of the modeling process to observe and follow. It is also compatible with available architectural facilities. Data preparation and data presentation. Preparing staging tables and platforms for other applications. 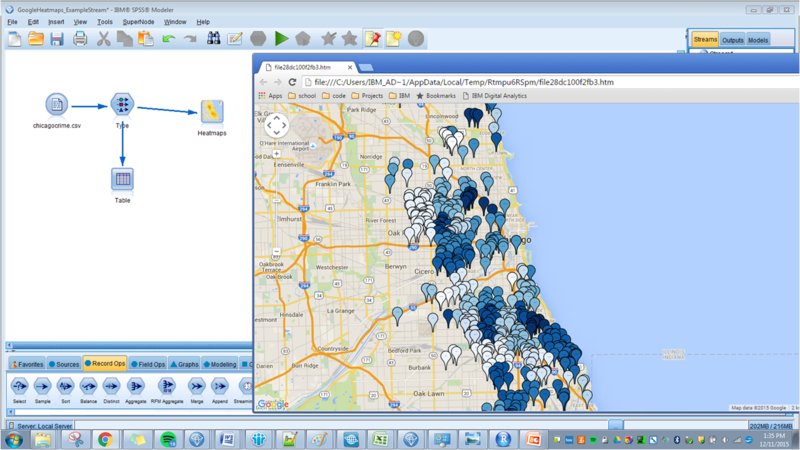 Statistical data analysis, including data manipulation and migration. IBM SPSS Modeler is a predictive analytics platform that helps users build accurate predictive models quickly and deliver predictive intelligence to individuals, groups, systems, and enterprises. With an intuitive interface and drag-and-drop features, the software is designed to be easy to use with the goal of enabling everyone from business users to data scientists to uncover valuable insights quickly. What products and services are prospects likely to purchase together? Which insurance claims have a high probability of fraud? Which machines on the assembly line are likely to fail? Where do we need to deploy additional law enforcement resources? How can we select the right applicants for the right roles? Use a single run to test multiple modeling methods, compare results and select which model to deploy. Quickly choose the best performing algorithm based on model performance.Explore geographic data, such as latitude and longitude, postal codes and addresses. Combine it with current and historical data for better insights and predictive accuracy.Capture key concepts, themes, sentiments and trends by analyzing unstructured text data. Uncover insights in web activity, blog content, customer feedback, emails and social media comments.Use R, Python, Spark, Hadoop and other open source technologies to amplify the power of your analytics. Extend and complement these technologies for more advanced analytics while you keep control. 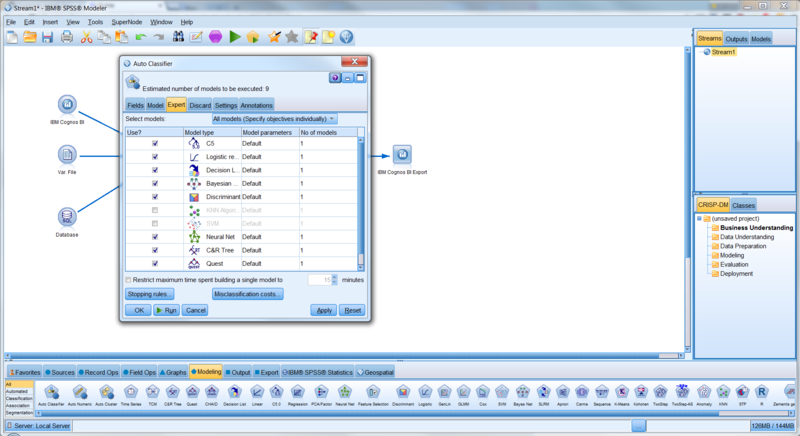 IBM SPSS Modeler Personal enables users to design and build predictive models right from the desktop. IBM SPSS Modeler Professional extends SPSS Modeler Personal with enterprise-scale in-database mining, SQL pushback, collaboration and deployment, champion/challenger, A/B testing, and more. IBM SPSS Modeler Premium extends SPSS Modeler Professional by including unstructured data analysis with integrated, natural language text and entity and social network analytics. IBM SPSS Modeler Gold extends SPSS Modeler Premium with the ability to build and deploy predictive models directly into the business process to aid in decision making. This is achieved with Decision Management which combines predictive analytics with rules, scoring, and optimization to deliver recommended actions at the point of impact.